Ecology of Halophytes documents the proceedings of a symposium on the ecology of halophytes sponsored by the Physiological Ecology section of the Ecological Society of America, and held as a portion of the American Institute of Biological Sciences meetings in August 1972. The book considers the fundamentals of distribution, anatomy, and physiology of halophytes. 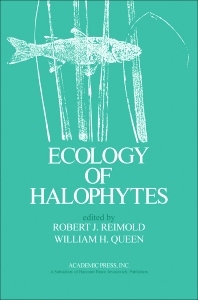 It provides an overview of the role of the halophyte in ecosystems in various parts of the world. A section on habitat associations of halophytes considers the relation of the plants to other fauna and flora in natural systems. A final section deals with recent applied research related to halophytes and quantification of the impact of man on the ecology of halophytes. This text will be useful for various disciplines working in saline wetlands ecosystems. It is intended to serve land use planners, federal and state natural resources and transportation interests, and real estate developers in providing a comprehensive summary of the ""state of the art"" in understanding halophytic ecosystems. With a better fundamental knowledge of the system, the above mentioned professionals should be better able to plan activities and uses compatible with the natural halophytic ecosystem and avoid some of the past errors man has made.